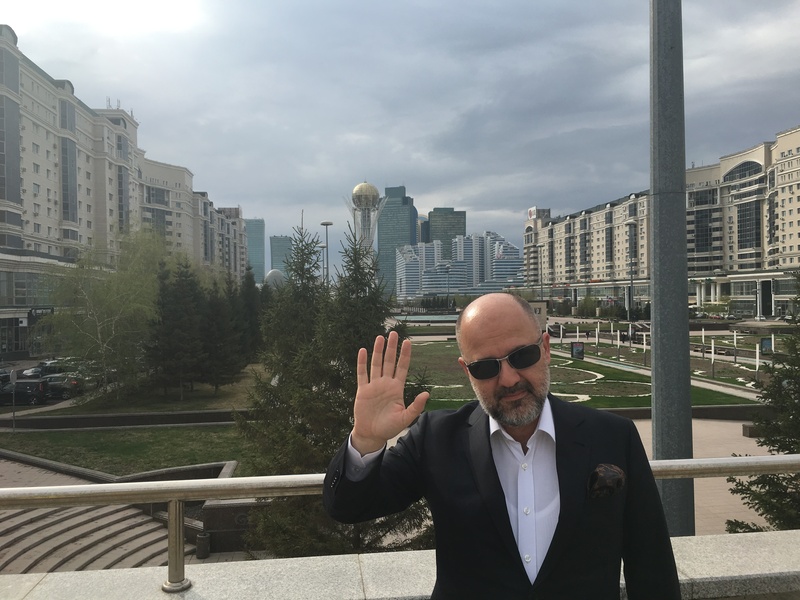 On 20–21 April, I was in Kazakhstan to help foster the local angel investment of the country at the invitation of the Kazakhstan Business Angels Association, who represented Kazakhstan at the World Business Angels Investment Forum. During my visit, I had the pleasure of meeting with the Investment Minister in Astana and the Chair of the Kazakhstan Stock Exchange in Almaty. This trip was particularly meaningful for me because I was in the land of Baybars. My name is a Kazakh name, but I had never been in this country before. As you may know, Turks came to Anatolia from Asia. Because my father was a military ‘pasha’ with a keen interest in history, he was the one who chose to give me an original Turkic name. The name Baybars is derived from the Kipchak Turkic bay (chief) + bars (panther). The name is extremely rare in Turkey, but you can find many people named Baybars in Syria and Egypt. Why Syria and Egypt? Because the ‘original’ Baybars, it is said, was brought from Asia to Syria a slave, and his life story is one of how a slave became the Sultan of Egypt after being sold as a bodyguard to an Egyptian commander. Now in Turkey it is my name! 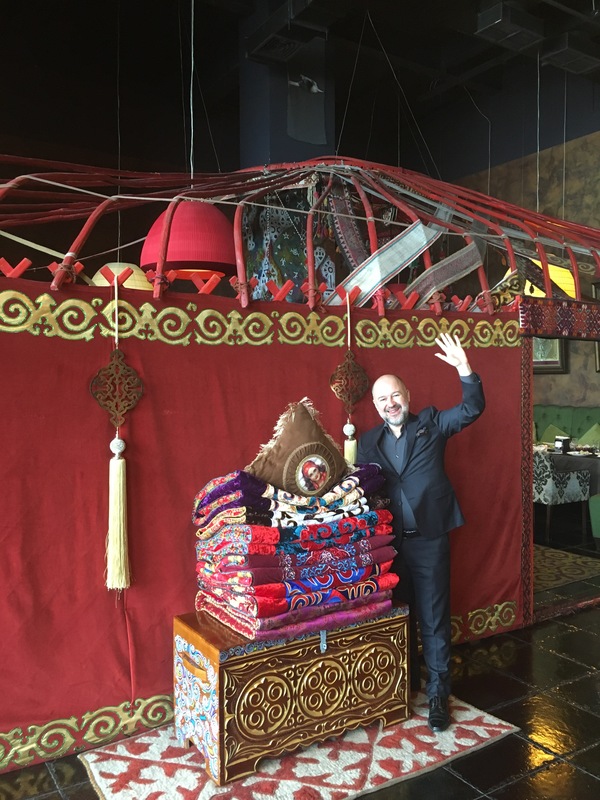 This trip included two intensive meetings with over 100 potential business angels at the Ritz Carlton in Almaty and the Hilton in Astana. Interviews with Forbes and National TV of Kazakhstan were included in the tightly scheduled itinerary of this trip. 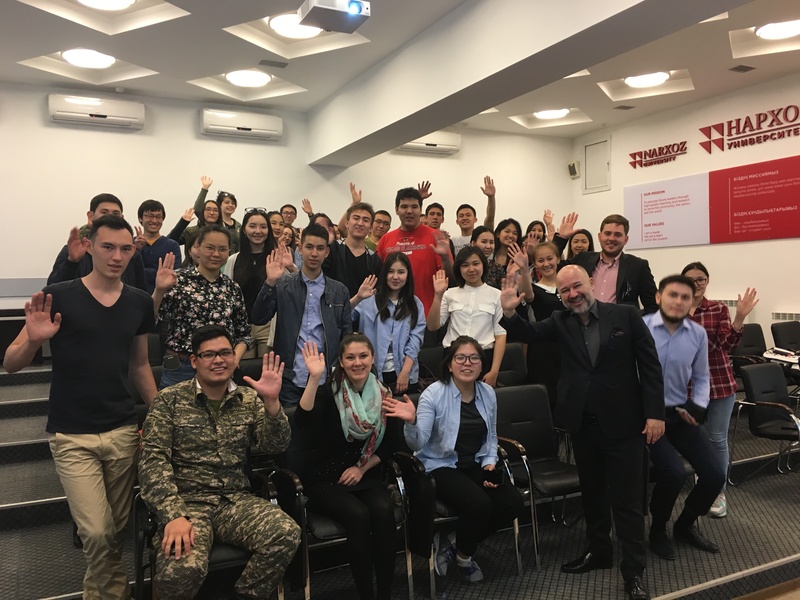 I also gave a lecture to startups and students dreaming to set up their own businesses at Narxoz University, home of the MOST Business Incubator, under the direction of Pavel Koktyshev. 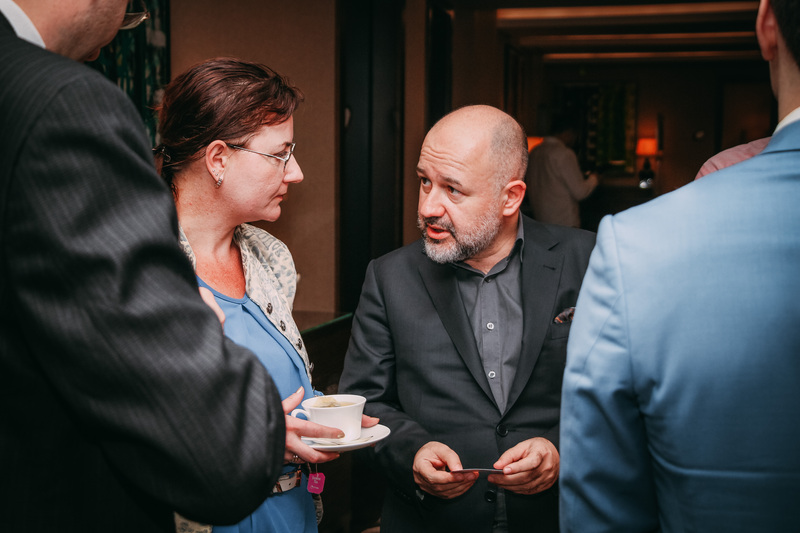 The trip also included an intensive meeting with the CEO of the Kazakhstan Scientific Council to identify some tangible ways to connect startups, entrepreneurs, and SMEs with smart finance. The Kazakhstan Scientific Council is running an interesting campaign to attract foreign investors to the country, offering tax incentives and financial support. The World Bank also provided the Council with $10 million to finance new business ideas from startups. 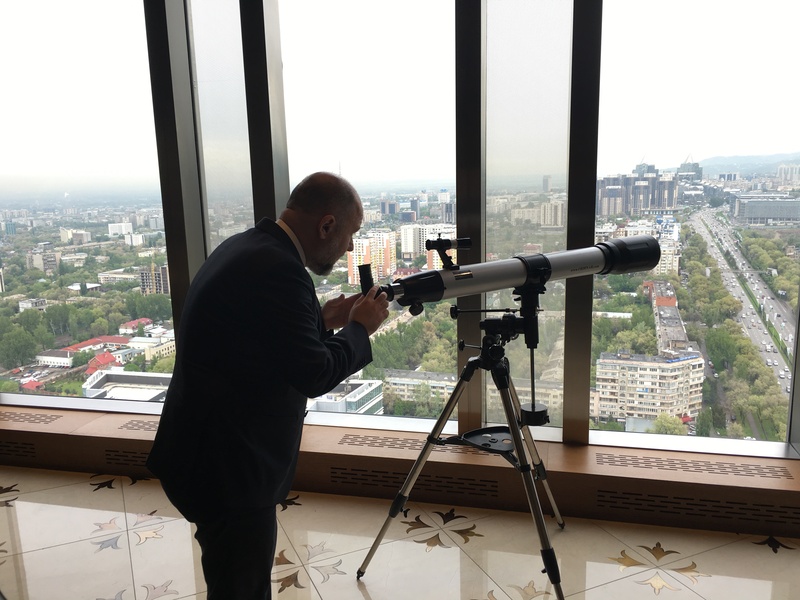 My initial impression of the early-stage investment ecosystem in Kazakhstan is that it is on its way to becoming a regional hub for startups and innovation. I was glad to see that stakeholders of the ecosystem were already aware of the importance of connecting the local entrepreneurial and SME ecosystem with global markets in order to scale up the economy. As a matter of fact, the invitation I received to visit Kazakhstan was a manifestation of this vision. Having made this visit, I understood that main stakeholders of Kazakhstan’s entrepreneurship and SMEs ecosystem (the investment ministry, chambers of commerce, the stock exchange, angel investors, the university, the incubation centre and banks) are indeed ready and eager to come together to create a healthy angel investment structure in the country to foster investment in startups and SMEs. 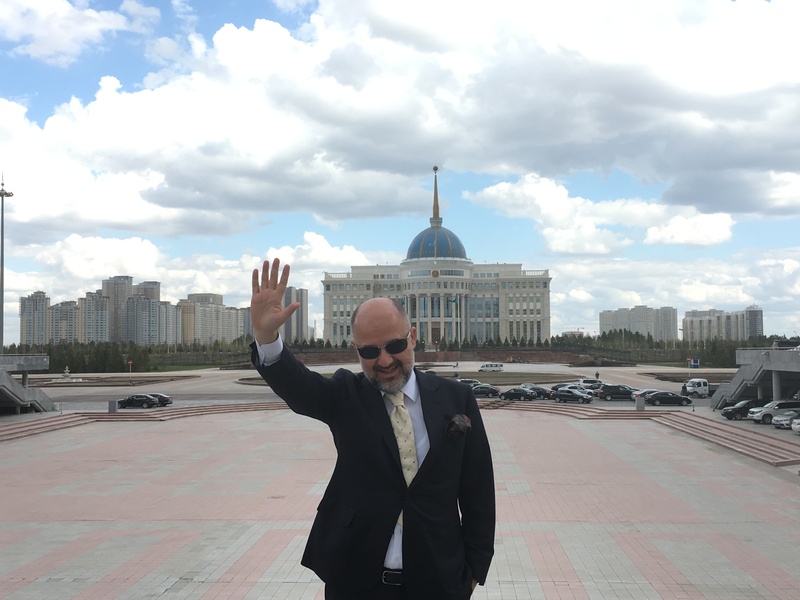 By the way, one thing that was interesting to me about these meetings was that, before meeting with government officials in governmental buildings, it takes rather a long time to get into the building itself. Although there is no visa to enter Kazakhstan, you need a ‘visa’ to enter every government building. You need to allow about half a day to get permission. It is therefore a better idea to arrange meetings somewhere other than in a governmental building if you can, to save time! Buoyed by high world crude oil prices, GDP growth figures were between 8.9% and 13.5% from 2000 to 2007 before decreasing to 1–3% in 2008 and 2009, and then rising again from 2010.Other major exports of Kazakhstan include wheat, textiles, and livestock. Kazakhstan is a leading exporter of uranium. 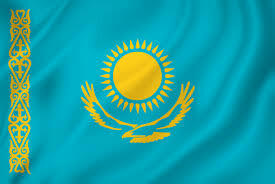 In March 2002, the U.S. Department of Commerce granted Kazakhstan market economy status under U.S. trade law. This change in status recognized substantive market economy reforms in the areas of currency convertibility, wage rate determination, openness to foreign investment, and government control over the means of production and allocation of resources. Almaty generates approximately 20 per cent of Kazakhstan’s GDP (or $36 billion in 2010). The nation is the most powerful economically in Central Asia and Almaty is a key financial center. It is considered to be a Beta- Global City as of the 2012 GaWC study. Under construction is the ‘Almaty Financial District and Esentai Park’. This was designed by T.J. Gottesdiener, who designed both 7 World Trade Center in New York City and Time Warner Center in Tokyo Midtown, respectively. Its goal is to become the largest business centre in Central Asia. Esentai Tower, a 37-floor building in the park, is the tallest mixed-use building in Kazakhstan, housing offices of companies such as Ernst & Young, HSBC and Credit Suisse. The first Ritz-Carlton Hotel in Kazakhstan opened in 2013 in Esentai Tower. The economy of Almaty city and Almaty Region continues to grow, and is expected to increase at nearly 6 percent per year until 2020. The city generates approximately 20 percent of the national GDP. To mitigate the rapidly increasing electricity demand caused by this growth, the Kazakh authorities decided to upgrade the power system by building the new transmission line and modernizing the substations. The Alma Transmission Project, supported by the World Bank, has helped achieve this goal. Astana’s economy is based on trade, industrial production, transport, communication and construction. The city’s industrial production is mainly focused on producing building materials, foodstuff and mechanical engineering. Astana is the headquarters of state-owned corporations such as Samruk-Kazyna, Kazakhstan Temir Zholy, KazMunayGas, KazTransOil, Kazatomprom, KEGOC and Kazakhtelecom. The shift of the capital has given a powerful boost to Astana’s economic development. The city’s high economic growth rate has attracted numerous investors. In the 16 years since Astana became the capital, the volume of investments has increased by almost 30 times, the gross regional product has increased by 90 times, and industrial output has increased by 11 times. The city’s Gross Regional Product makes up about 8.5 percent of the republic’s Gross domestic product. The Astana – New City special economic zone was established in 2001 to develop industry and increase the attractiveness of the city to investors. The SEZ plans to commission five projects worth 20 billion KZT (around $108 million) in the Industrial Park #1 in 2015. The projects include construction of a plant for production of diesel engines, a fast food complex, temporary storage warehouses and a business centre, a furniture factory, and production of military and civil engineering machinery. Astana’s administration is promoting the development of small and medium-sized businesses through the cooperation of the Sovereign Welfare Fund Samruk-Kazyna and National Economic Chamber. Support is provided by a special program of crediting. As a result, the number of small and medium-sized businesses increased by 13.7% to over 96,000 compared to the previous year as of July 1, 2015. In addition, the number of people employed in small and medium-sized business increased by 17.8% to over 234,000 people as of April 1, 2015. Baybars name was derived from Kipchak Turkic bay (“chief”) + bars (“panther”). Baibars was born in the Dasht-i Kipchak/Cumania, between the Edil (Volga) and Yaiyk (Ural) rivers, to the Cumans-Kipchaks.He was fair-skinned, blond, very tall, and had a cataract in one of his bluish eyes. It was said that he was captured by the Bulgars in the Kipchak steppe/Cumania and sold as a slave, ending up in Syria. Baibars was quickly sold to a Mamluk officer called Aydekin al bondouqdar and sent to Egypt, where he became a bodyguard to the Ayyubid ruler As-Salih Ayyub. He was one of the commanders of the Egyptian forces that inflicted a defeat on the Seventh Crusade of King Louis IX of France. He also led the vanguard of the Egyptian army at the Battle of Ain Jalut in 1260, which marked the first substantial defeat of the Mongol army and is considered a turning point in history. The reign of Baybars marked the start of an age of Mamluk dominance in the Eastern Mediterranean and solidified the durability of their military system. He managed to pave the way for the end of the Crusader presence in the Levant and reinforced the union of Egypt and Syria as the region’s pre-eminent Muslim state, able to fend off threats from both Crusaders and Mongols and even managed to subdue the kingdom of Makuria, which was famous for being unconquerable by previous Muslim empire invasion attempts. As Sultan, Baibars also engaged in a combination of diplomacy and military action, allowing the Mamluks of Egypt to greatly expand their empire. Baibars is one of the main characters of Robyn Young’s books, Brethren (starting shortly before he becomes Sultan) and Crusade. Baibars is one of the central characters in Lebanese- American author Rabih Alameddine’s The Hakawati. Baibars is one of the characters in the The Children of the Grail books by Peter Berling. 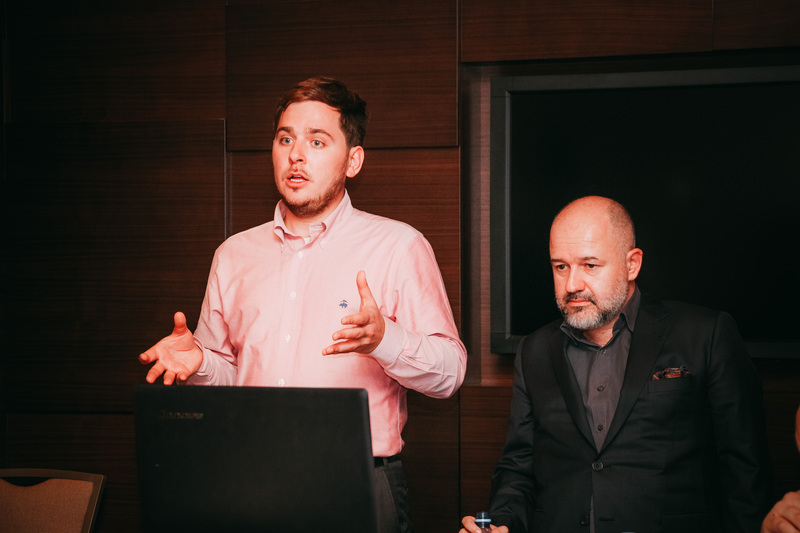 The Business Incubator MOST, chaired by Pavel Koktyshev, at the Narxoz University is the first in Kazakhstan commercial business incubator with a well-developed infrastructure set within a local university. 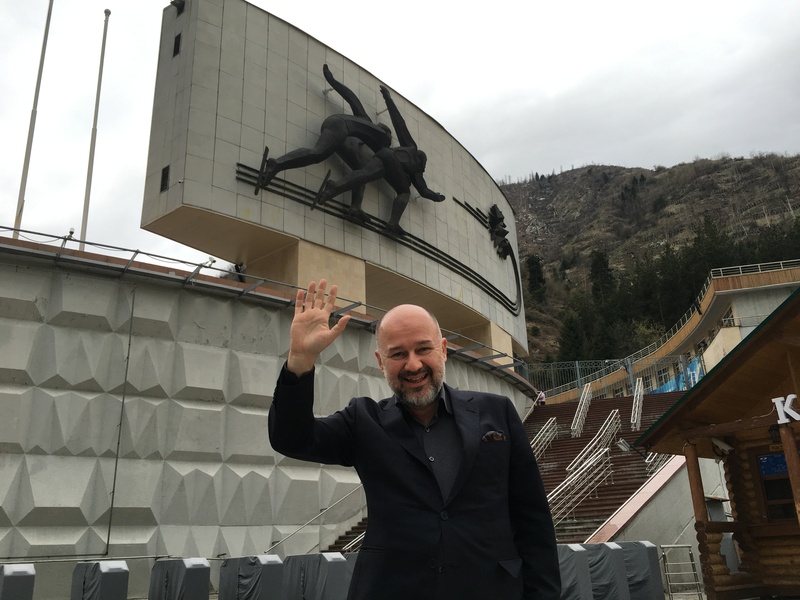 It is one of the co-founders of the Kazakhstan Business Angels Association. The Business incubator was officially launched on 25 September 2015. A “Tech-nation accelerator Program” was implemented there, finalists of which went to Silicon Valley, California, USA. It also has a Creative Entrepreneurs’ School, some graduates of which have found backers for their ideas. 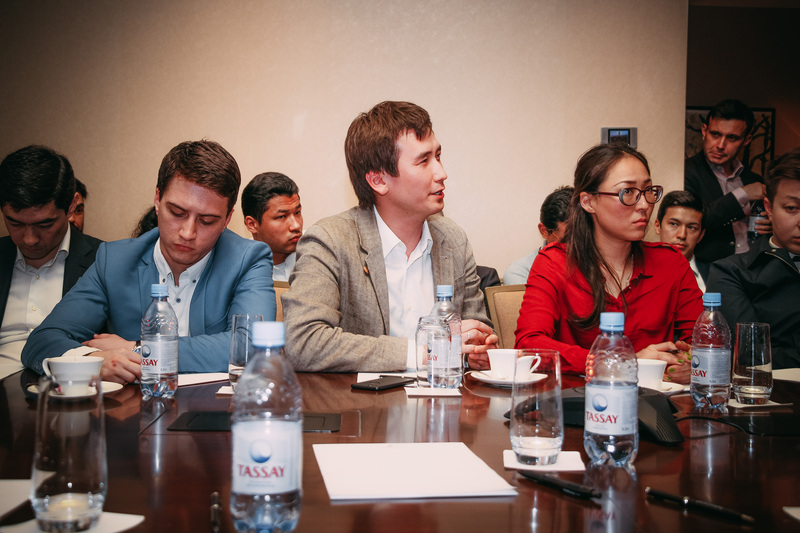 Many events like Global Entrepreneurs’ Week in Kazakhstan, DreamSpark, and the Eurasian Mobile Challenge, took place at the Business Incubator. There are master classes, workshops, trainings for entrepreneurs, start-up work-shops and students’ activities every week. In the first six months of operation Most incubated five start-ups, including two student ones. 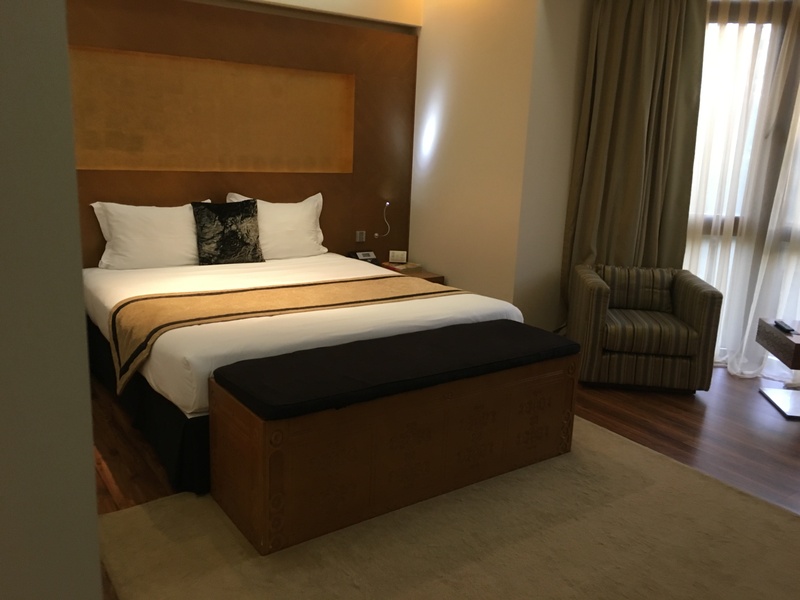 The Dosty Hotel is a lovely 4-star hotel in Almaty. Its location is excellent — you can get anywhere easily. The rooms are very comfortable and the reception staff speak Turkish well. If I go to Almaty again, this is a definitely a hotel I would consider. I took the 21.55 flight of Air Astana from Istanbul Ataturk Airport. Air Astana is named after Kazakhstan’s capital city, Astana. 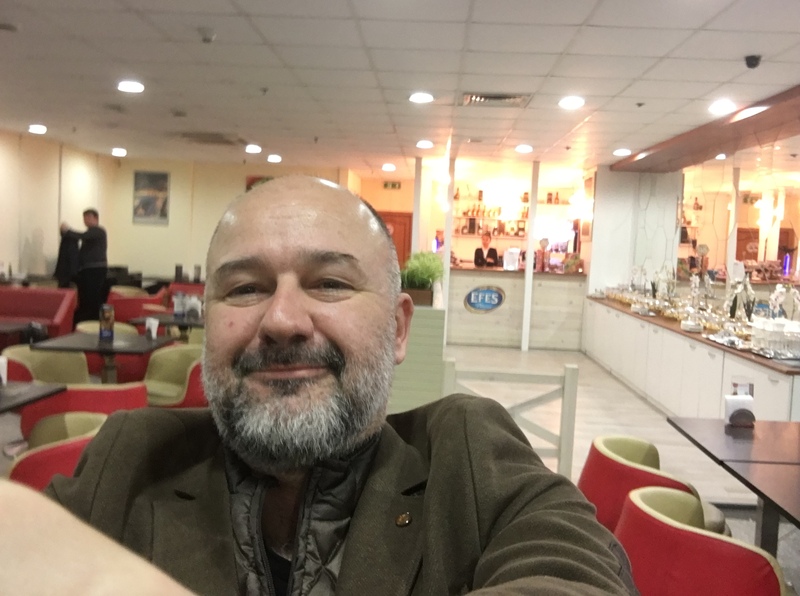 After a flight of more than 5 hours to Almaty in the comfort of the business class service, I arrived at the Almaty airport at 6am. 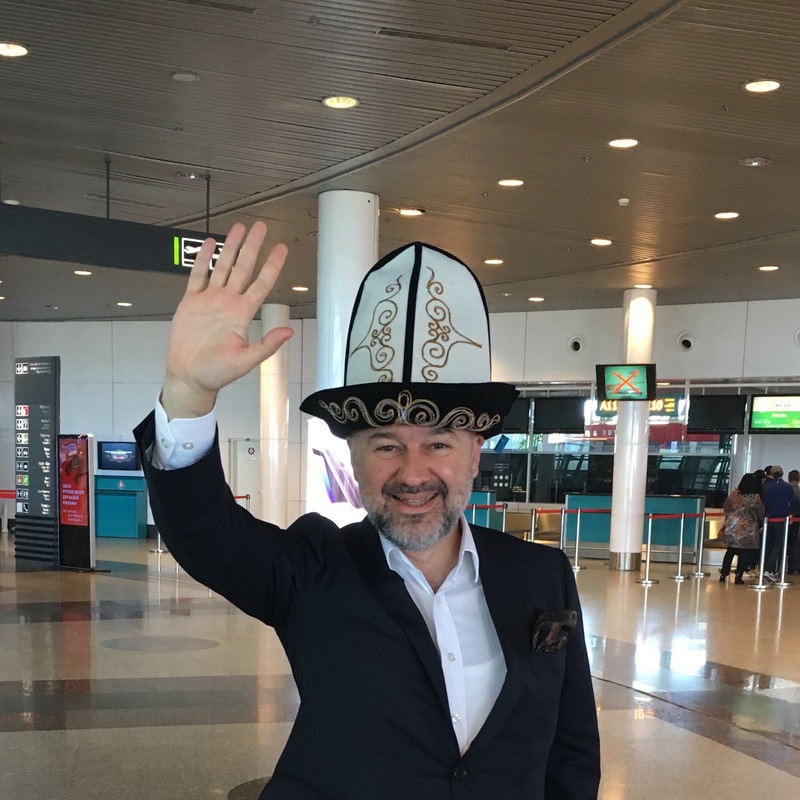 Pavel Koktyshev of the Kazakhstan Business Angels Association was waiting for me at the airport. After a quick passport control, I was in his jeep heading toward the hotel, where we arrived around 7am. I hadn’t slept well during the flight, so I wanted to sleep until 10am. The first destination was Narxoz University, where I gave an interview, delivered a lecture to university students, and visited the MOST business incubator at the university. Over 50 students listened to my lecture, and it was a real pleasure for me to answer questions from the potential entrepreneurs of Kazakhstan about setting up and scaling up businesses. 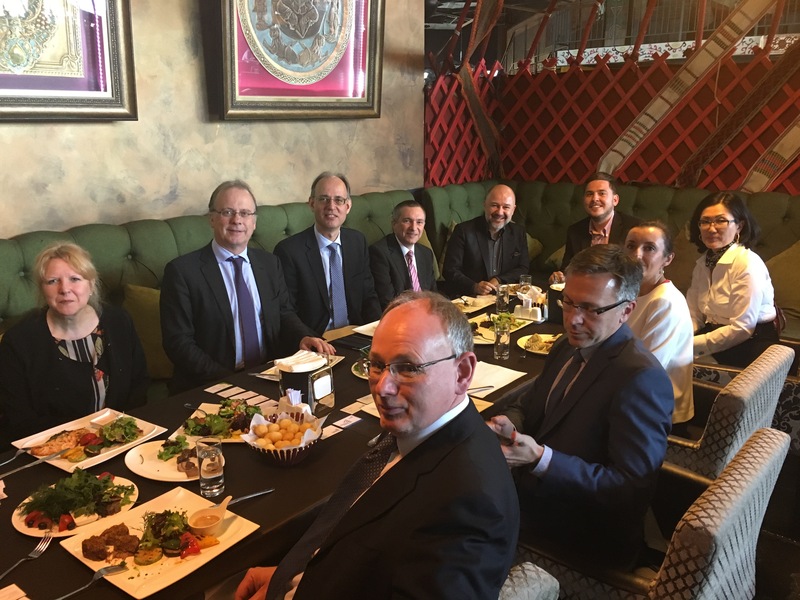 After the conference, I had a discussion over lunch with Dr Krzysztof Rybiński, the Rector of Narxoz University, and his executive team, along with some guests from the UK. For the first time in my life, I tasted horsemeat at an authentic restaurant in a shopping mall (this was another unforgettable experience of this trip). 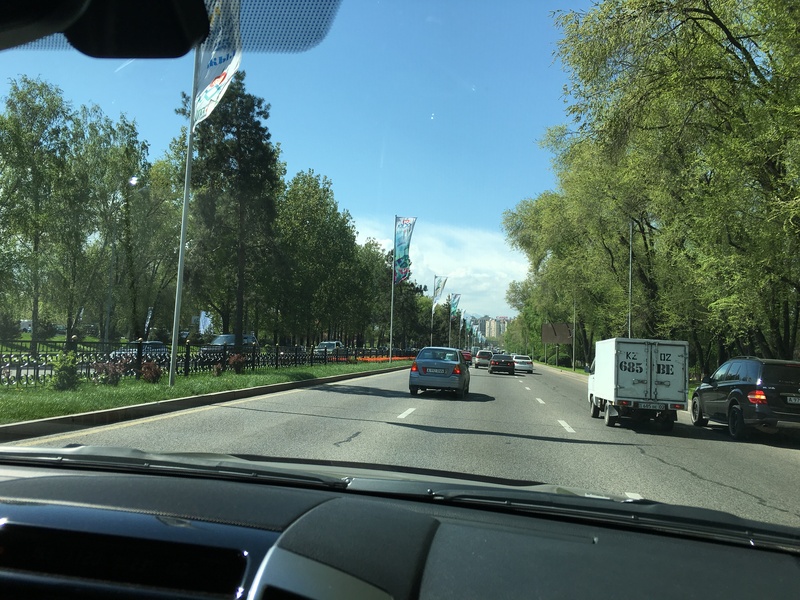 From there we went to the Ritz Carlton Hotel for a closed group meeting, where I met with potential business angels of Almaty. The meeting lasted from 3pm to 6pm. I addressed around 50 important players of the early-stage investment market of Almaty. My main aim was to explain why they need to act together in investing in startups. After this meeting and a coffee break to chat with participants, I was interviewed by Forbes of Kazakhstan. Around 7pm, Pavel Koktyshev and his friends took me to a lovely Georgian restaurant close to my hotel. 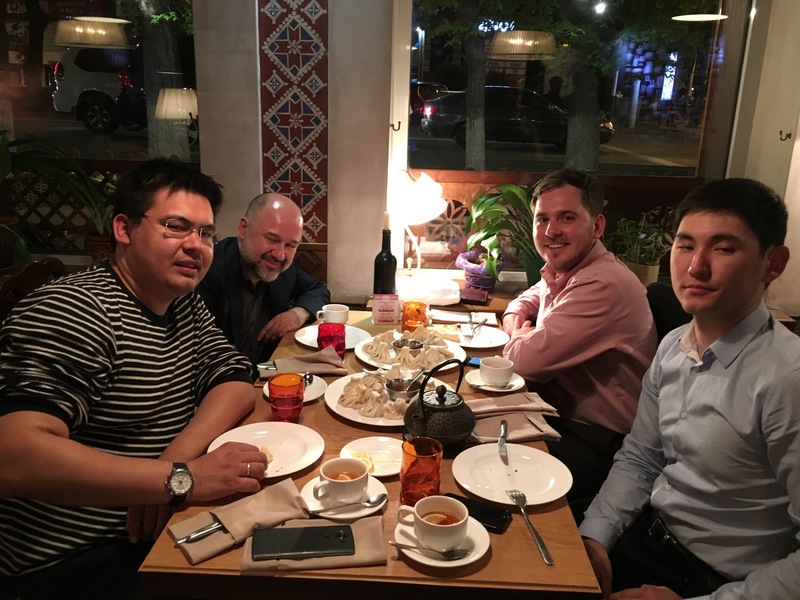 I enjoyed delicious Georgian cuisine that night in the company of good friends. I was back in my hotel room around 10pm. 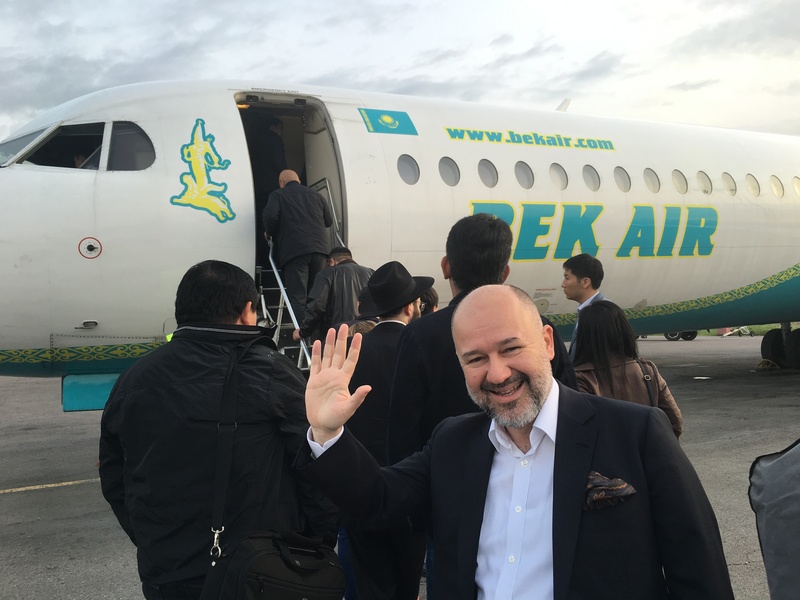 I needed to get to sleep immediately because I was going to be collected early the next morning to go the airport to catch my flight to Astana for a meeting with the Minister and another group of potential investors. I was ready in the lobby by 6am and we took our 7am domestic flight to Astana. After an easy 60-minute flight in business class, we arrived in Astana, the capital of Kazakhstan. We took a taxi directly to the investment ministry, where we met with Asset Issekeshev, the Minister of Investments and Development of the Republic of Kazakhstan. The Minister came to the meeting with the General Director of Investments Department. I presented a copy of my book to the Minister, who was really surprised when he saw the picture of me with US President Obama on the back cover. Another thing he pointed out to me at the beginning of the meeting was that my name is a Kazakh name. At the end of the meeting, the Minister agreed to sign an agreement that would foster the development of the early-stage investment market in Kazakhstan. 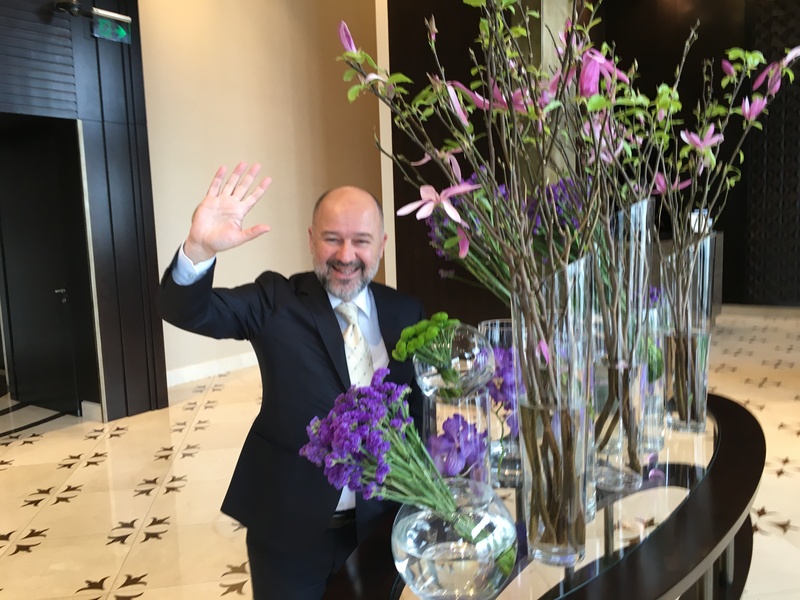 Then we took photos to commemorate the event and went to the Hilton Hotel, where I met with the angel investors of Astana at 11am. It was an interesting coincidence that my photo with a very tall man at the White House was taken on the 21 April, 2010. This time, a man even taller than President Obama was in the photograph. I cannot imagine the height of the man in the photo that might be taken next 21 April! From 11am to 1pm, I chaired a closed group meeting with more than 30 important players of the early-stage investment market of Astana. The topic was the same: The advantages of making investments as a member of an angel group. After the meeting, I gave an interview to Kazakhstan TV, which was featured on the main news bulletin the same day. 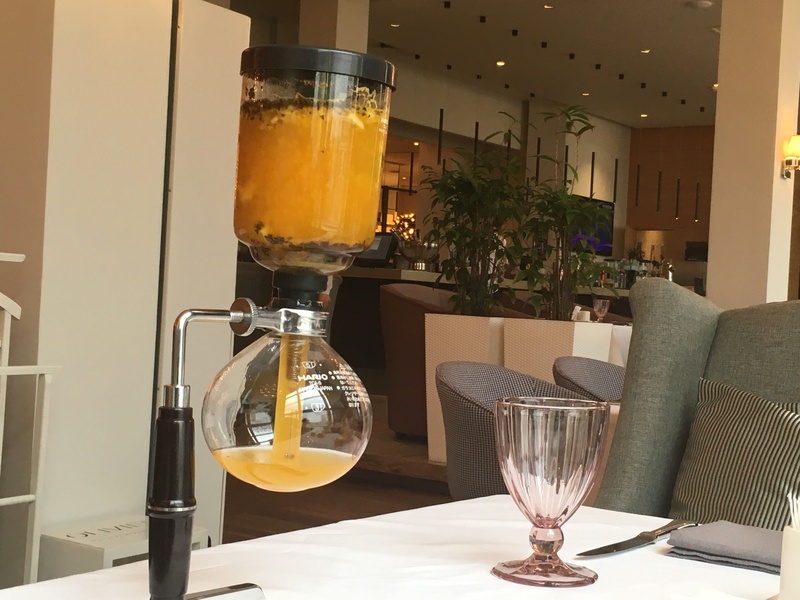 Then we all had lunch at the hotel restaurant, which gave me an extra opportunity to learn more about the participants of the meeting. 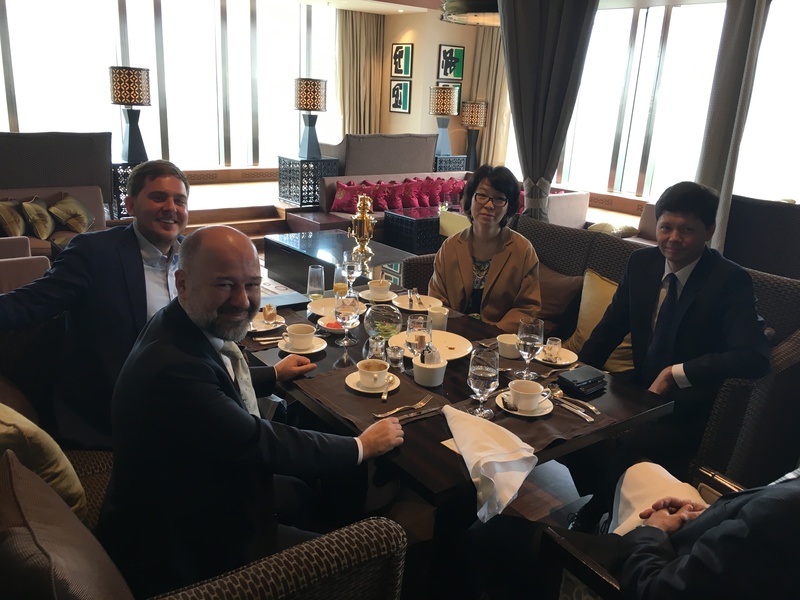 After lunch we met with the General Director of the Kazakhstan Scientific Committee. It was a wonderful discussion, where I learned more about the positive approach of the Kazakh government. The government gives great importance to innovation and believes that, if a good bridge is constructed between the local innovators and foreign innovators, it is possible to accelerate the innovation process. To encourage the process, the government offers attractive tax incentives and financial support in cases where the production phase of a project is implemented in Kazakhstan. 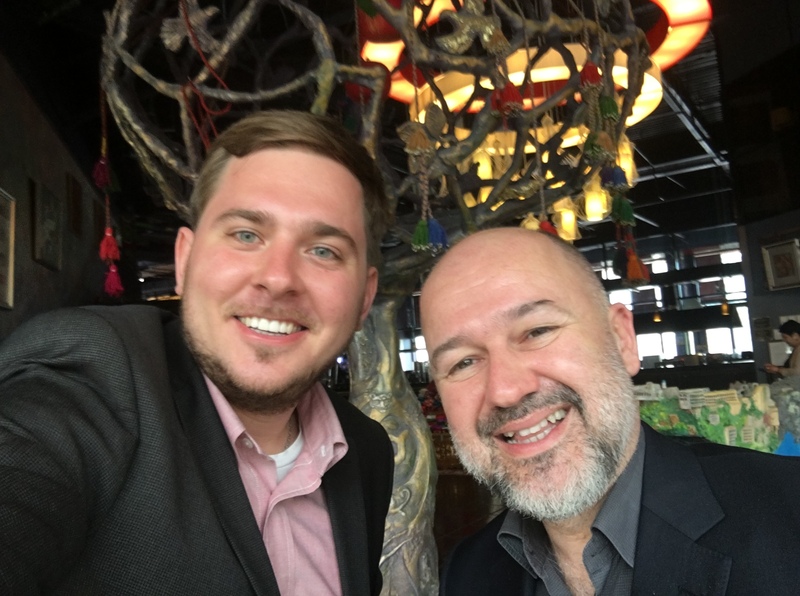 While waiting for my ‘visa’ procedures to be completed so that I could get into the building, Pavel and I decided to take a coffee break at a restaurant in the city centre, very close to the palace of Kazakhstan’s president, Nursultan Nazarbayev. This gave me the opportunity to see Nazarbayev’s palace on the way, along with some of the city’s monuments. It was because it started to rain that we rushed to the restaurant to enjoy our coffee and tea. After our meeting with the General Director, we took a taxi back to the Hilton and spent some time meeting with some entrepreneurs. We didn’t want to take the risk of getting caught in the rush hour in the heavy rain, so we didn’t leave the hotel until around 6pm, in plenty of time for our 8.20pm flight back to Almaty. 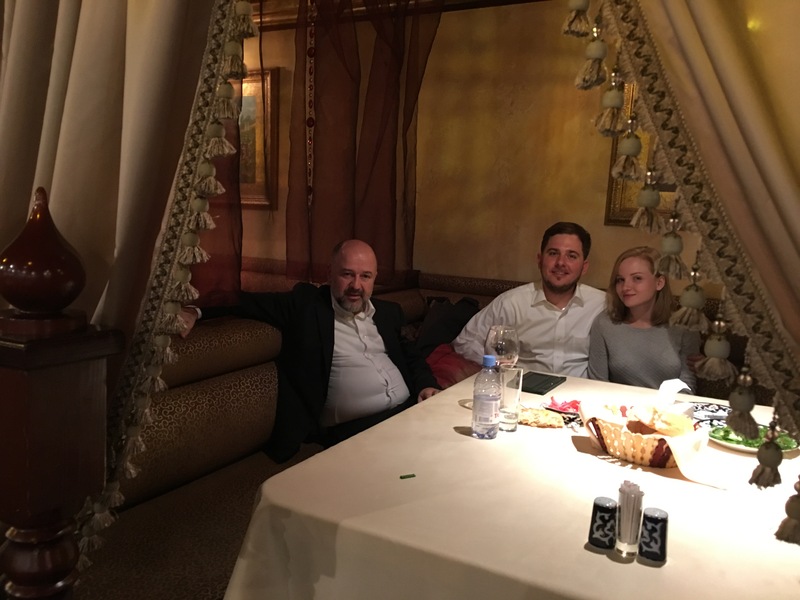 After a 1-hour flight, we were back in Almaty, and we drove to an excellent Uzbek restaurant, where I enjoyed authentic Uzbek cuisine with Pavel and his fiancée. The dinner and the company were both delightful, and we stayed until 11pm. I was in bed around 11.30pm after two extremely tiring days. Another heavy schedule was waiting for me, but I asked Pavel not to put anything on the agenda until noon because I really needed to sleep. 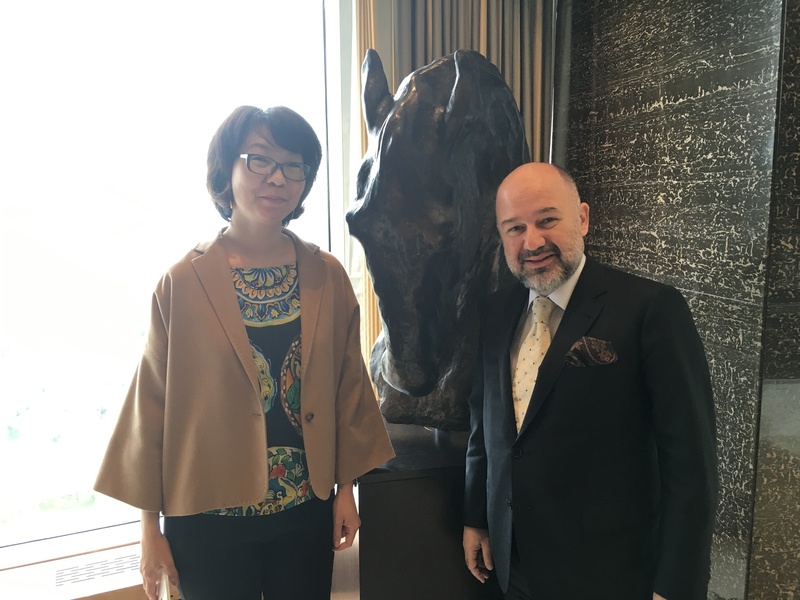 I was collected from the hotel around 12.30pm to go to the Ritz Carlton’s wonderful restaurant on the 32nd floor, where we I had lunch with Ms Alina Aldambergen, Chair of the Kazakhstan Stock Exchange (KASE). 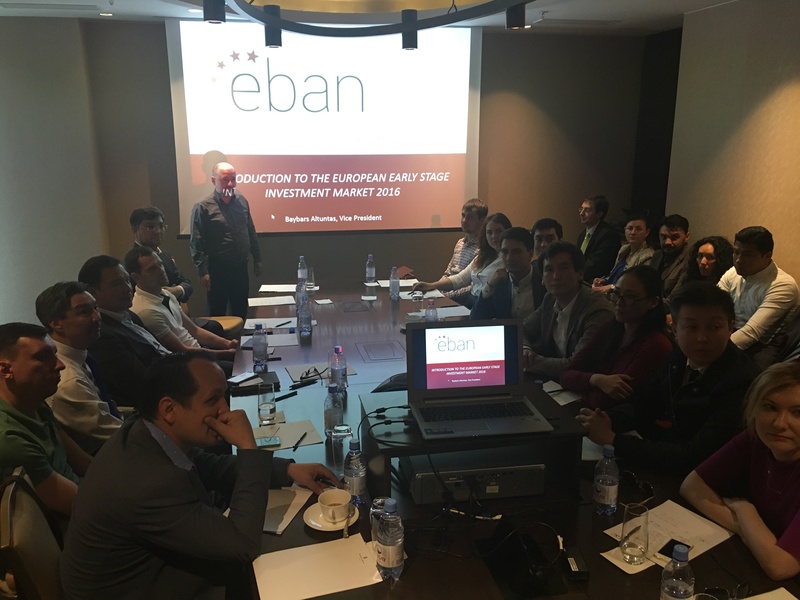 We had a frutiful discussion on how to benefit from the Kazakhstan Stock Exchange as an exit or fundraising tool for foreign investors in high-growth companies and SMEs. She is completely open to new and innovative financial instruments that will foster the investment ecosystem of the country. After lunch with Ms Aldamgergen and her team, we proceeded to our 3pm appointment with Riza Kagan Yimaz, the Consul General of Turkey. We then met with the Economic Attaché, after which we had a coffee-break meeting with the CEO of Capital Bank. 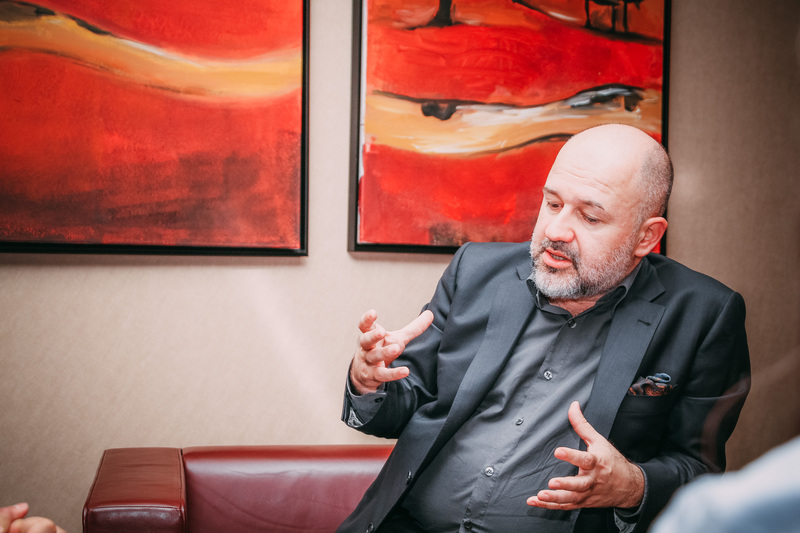 Capital Bank is a private bank in Kazakhstan whose CEO (a former Vice President of the Central Bank of Kazakhstan) is keen to focus on the early-stage investment market and SMEs. After meeting with the Capital Bank CEO, I left for the airport to catch my 20.55 return flight to Istanbul. Almaty airport’s business class lounge is the second CIP lounge I have visited where you are charged for the service. I had encountered this style of service management only once before, at the CIP Lounge of Prodgorica, in Montenegro. 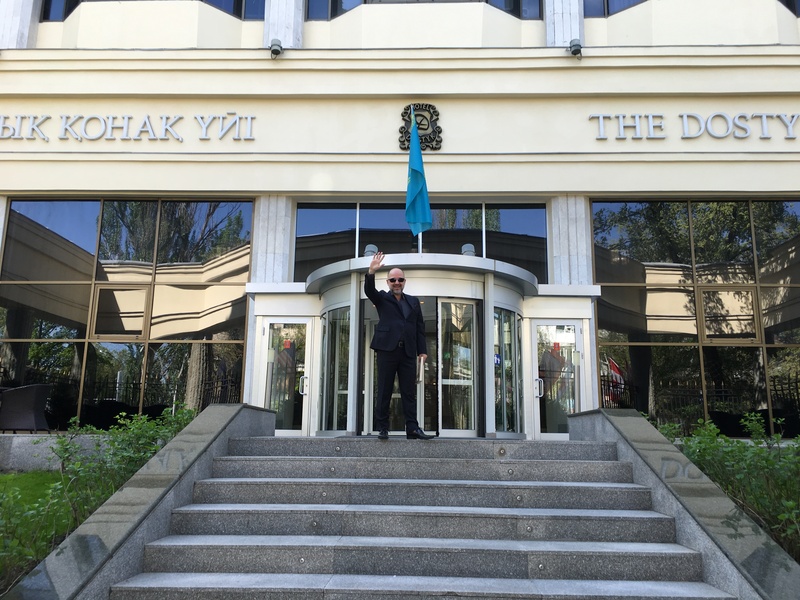 This trip had a very tough schedule, but even though I got very tired, I feel very happy and confident that the Kazakhstan Trade Association for Business Angels (Kazakhstan Business Angels Association – KAZBAN) under the leadership of Pavel Koktyshev will play a crucial role in the development of the country’s early-stage investment ecosystem. Congratulations dear Pavel Koktyshev! Your dedication to easing access to finance in your country, in your region, and in the world will soon be recognised and well appreciated!